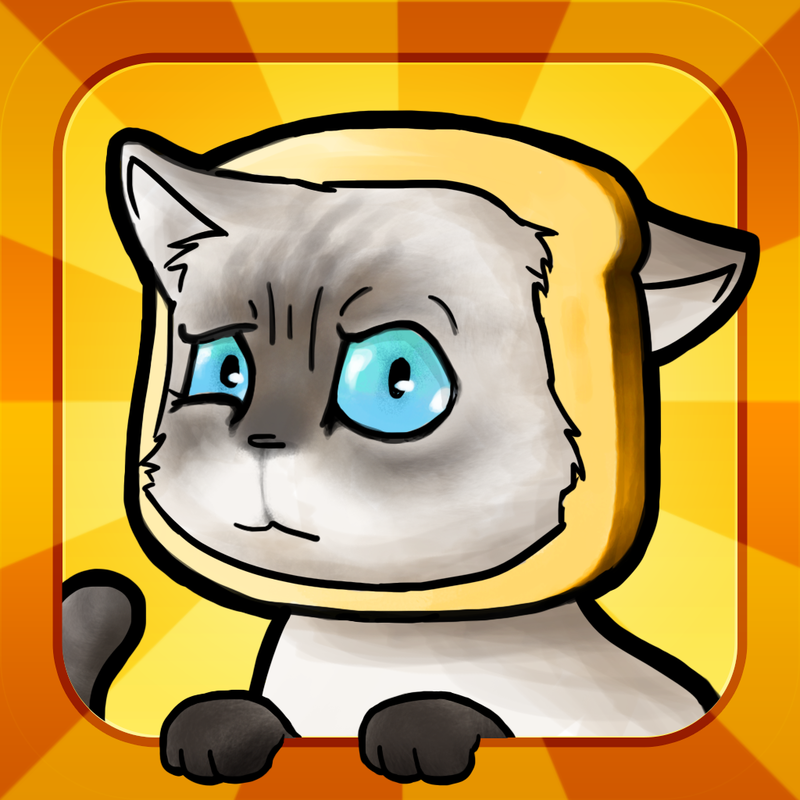 There is a meme on the Internet of a cat with a piece of bread over its head. This act of putting bread over a cat's head has become known as "breading cats." People have even developed apps about it. 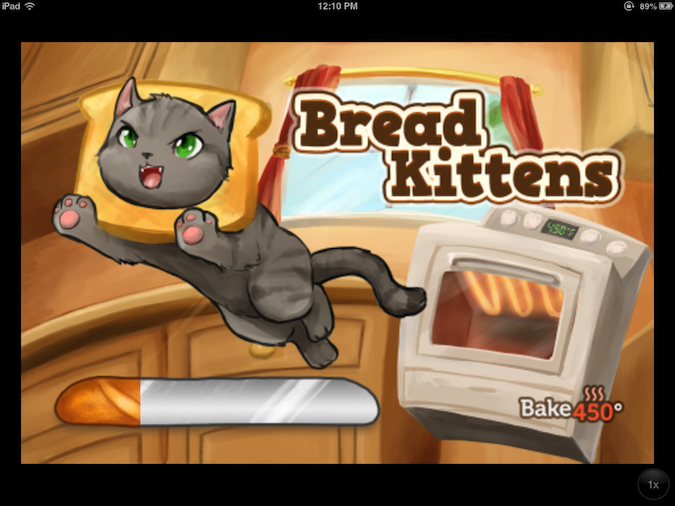 Bread Kittens is an iPhone and iPad game of breading kittens to capture them for epic Pokemon-like battles. You are a baker. The evil company ChowCorp has created tainted cat food that has made all the cats wild and aggressive. Basically, the cats have become weapons. Since they're so crazy, no one will adopt them and feed them. Your baker skills have been called upon to save the world. 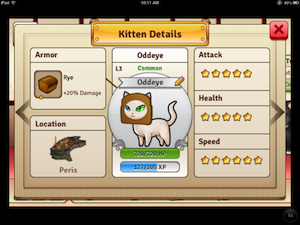 You must bake bread slices to capture kittens and loaves to protect them like armor.